The contrast between marble and glass in the Amp collection of pendant lamps by Normann Copenhagen creates an elegant, contemporary look. Just as functional as they are chic, the shades are designed to make removal and cleaning easy. 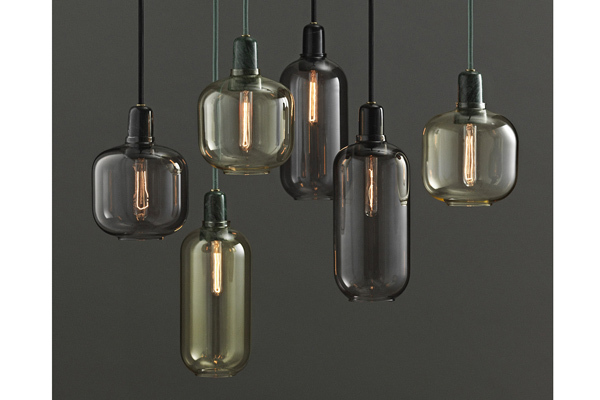 Different sizes and colours of shades are available, to use individually or in clusters, ranging from $148 to $280.